Goa is known for its delicious, mouth watering seafood dishes. For the seafood lovers like us, you will go crazy trying out different seafood Goan cuisine in Goa. You name a fish and you are surely gonna get it in the fish market there. This post is strictly for the seafood lovers. People from konkan belt and Goa are familiar with this dish but to others this post might sound strange. During Summer, you get some fresh stocks of sun dried fishes like mackerel(bangda),prawns (sungta),shark fish(mori) etc in the fish markets . That's when the goans and coastal line people get prepared for the rainy season and store these dried variety of fishes for the monsoon season as deep sea fishing is restricted then and its difficult to get fresh fish. Even in dry fish, there are N number of delicious dishes. 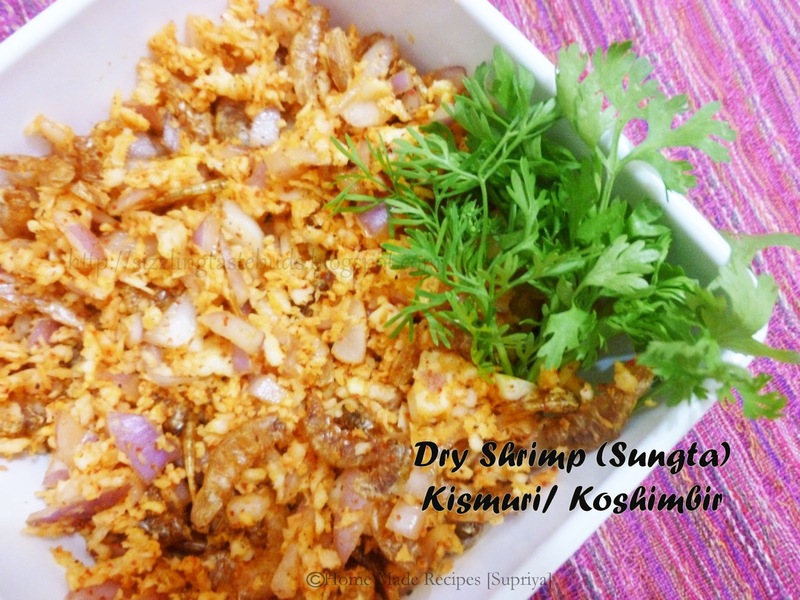 Kismur or Dry Prawns Salad is made from dry prawns or dry fish like mackerel. This is one of the most popular Goan dish and its served in almost all restaurants in Goa. Its very simple and easy dish which goes very well as a side dish to any simple Indian meal. 1. Clean the dry prawns by taking off the head, tail and legs. 2. I usually wash the dry prawns and then roast it. You can always skip this step. 4. Once crisp keep it aside. Take a mixing bowl and mix all the above ingredients using your fingers slightly crushing them. Just before serving, add in the roasted dry prawns and mix well. Delicious Goan Sungta Kismur is ready to be served. Note: Adding coconut oil or vegetable oil is optional. If you are adding it, coconut oil is more preferable. 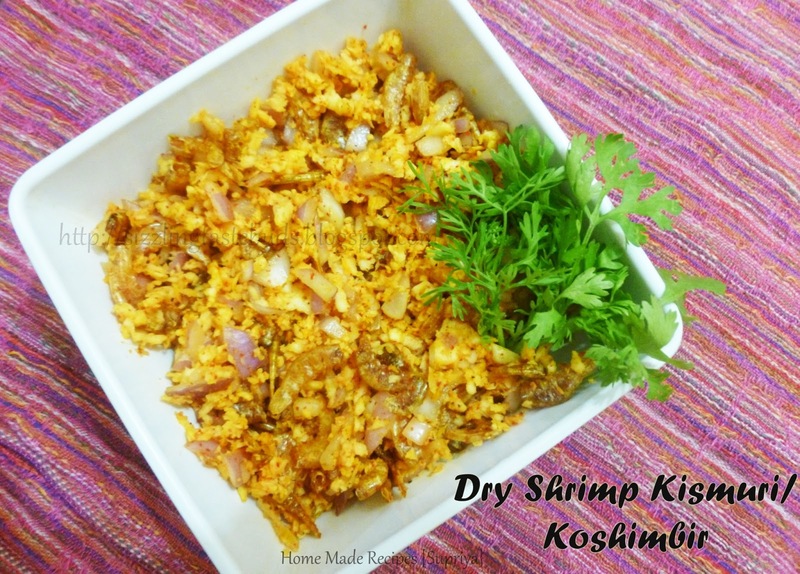 Dry Prawns can be substituted with dry fish like mackerel. Add very less amount of salt as the dried fish or prawns contains more salt content. You can also saute the onions with very little oil. But its not followed in a traditional goan dish. Except dry prawns rest of the ingredients are raw.